It’s fall and the weather is still warm. Although leaves will soon begin to turn, there is still plenty of time to order replacement windows and get them installed in time for cold weather the holidays. Clean lines: Consumers are seeking squared-off edges and crisp lines. In many cases, they’re desiring the look of aluminum/steel-framed storefront windows, but at a more palatable price point. Matson notes this is also driving more use of fixed, direct-set windows, as well as opting for casement units over double-hungs. Squares over arches: Likewise, while shapes remain popular, they’re decidedly rectilinear. Arched-top and similar curved shapes may appear dated for some of today’s more popular home styles. Expansive glass: The growth in outdoor living has driven demand for opening glass walls and lift-and-slide doors, as well as larger windows mulled together. From dramatic views to increased daylight, the benefits are appealing to both buyer and builder alike. And what was once a custom, luxury option out of reach to most homeowners is now available in mainstream models from a handful of manufacturers. JELD-WEN’s recently introduced vinyl multi-panel units are available with up to six panels and 24 feet wide. 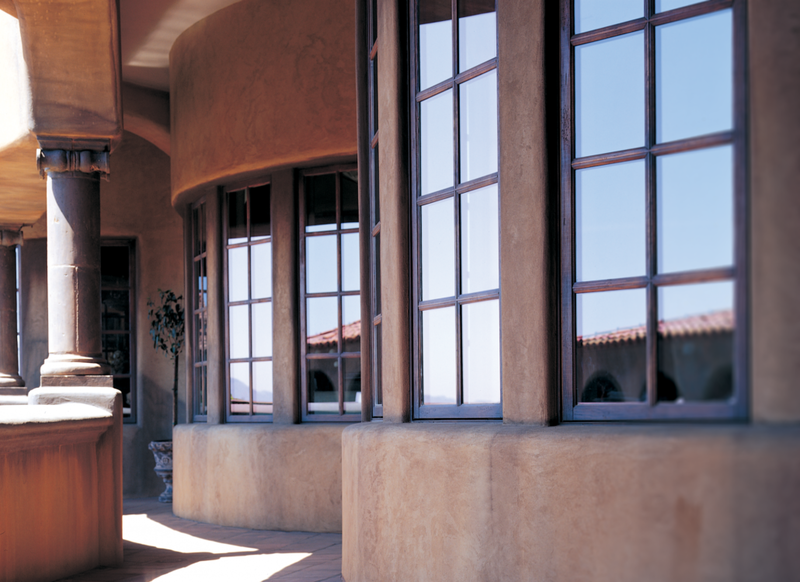 Energy efficiency: Energy-efficient windows are so popular now it’s hard to even consider them a trend. In fact, Matson says, ENERGY STAR® certification has become an expectation and a requirement for many consumers. 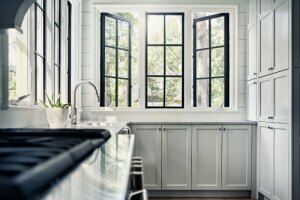 Let Tree Court Builders Supply help you with your window needs by calling one of our friendly customer service or sales reps at 636-225-7717. Click Learn More for more window and patio options by JELD-WEN.